Although neither the governor nor lawmakers seem to be fired up about ethics legislation this session, according to a national study released this week, there are deep misgivings about ethics in state governments all over the country — by state employees themselves. The Washington, D.C.-based Ethics Resource Center, “a nonprofit, nonpartisan organization dedicated to the study and promotion of ethical behavior in organizations worldwide,” released its annual National Government Ethics Survey. The results weren’t pretty. Fifty-seven percent of state workers surveyed reported observing at least one kind of misconduct over the past year. More than 80 percent of those reported seeing multiple instances of misconduct. 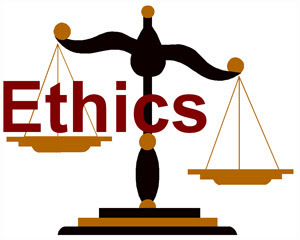 Only 7 percent of state workers reported a “strong ethical culture” in their workplaces. And yes, gentle readers, it’s not just New Mexico. The study doesn’t have a state-by-state breakdown, so it’s impossible to see if New Mexico ranks higher or lower than the national average. The most common form of misconduct reported was conflicts of interest. Nearly one-third of state employees said they’d observed this, though none of the conflicts were specified. This was followed by lying to employees (28 percent) and abusive behavior (26 percent). “Top management may be unaware of the misconduct problem,” the report said. Twenty-nine percent of state employees who observed misconduct did not report it. Most disturbing is the finding that 18 percent of state government employees who reported their observations of misconduct have experienced retaliation. More than a third who observed misconduct chose not to report it fearing retaliation from management, while 30 percent didn’t report misconduct because they feared retaliation from co-workers. State government has a bigger “ethics risk” factor than federal or local governments, the study says. This is because of the high rate of observing misconduct coupled with the low rate of reporting it. For the study, 3,452 randomly selected state employees were interviewed between June 25 and Aug. 15 last year. Again, we don’t know how many, if any, were from New Mexico. Memorialize this: In past legislative sessions, I’ve jokingly called for a study on Legislature-mandated studies. Other Roundhouse wags have suggested a task force on task forces. In that spirit, an Albuquerque Republican lawmaker said Wednesday that later this week she’s introducing a resolution on memorials and resolutions. 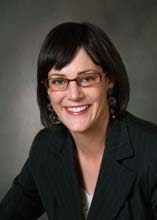 Her resolution would restrict resolutions to proposed state constitutional amendments, ratifying amendments to the U.S. Constitution, petitioning Congress under Congressional rules, “expressing the approval of the Legislature where legislative approval is required by statute or (the state constitution)” or adopting new or repealing or amending rules of the House. As used now, there are memorials and resolutions for every which thing. There are memorials or joint memorials declaring it Cowboy Day, Farm Workers Day, Stealth Fighter Day, FFA & 4H Day, New Mexico Mesa Day, School Nutrition Day and UNM vs. NMSU Football Rivalry Week. There are memorials calling for new studies and task forces. Someone is bound to suggest a task force to study her resolution.